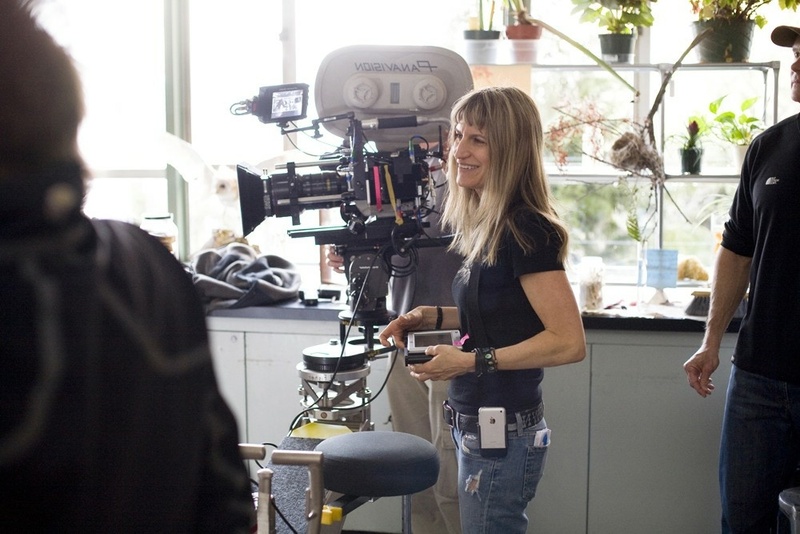 Catherine Hardwicke on the set of "Twilight." We make a partial transcript of our segments available here, but for the full effect we recommend you click the play button and listen to this one. The Directors Guild of America just released its annual diversity report, focusing on episodic television. While there was a slight uptick in the percentage of episodes directed by women and people of color, 67 percent of TV episodes in the 2015-2016 network season were directed by Caucasian men. So, how does one person get hired over another for a director’s gig? Or for any Hollywood job for that matter? Certainly you’d factor in talent, personality, recommendations, but what about the unconscious biases of the person doing the hiring? And is relying on experience in weighing a job candidate a bias in itself? Research proves that there are unconscious forces that shape our decision-making and affect who we hire. Now, the non-profit Women In Film and it's partner in the Systemic Change Project, The Sundance Institute, has tapped a Silicon Valley veteran to help them address bias in Hollywood. Judith Williams, formerly with Google and now global head of diversity at Dropbox, is consulting with Women in Film and The Sundance Institute. "What's interesting about unconscious bias is it's part of our way of processing data. It's a human condition," said Williams on The Frame. 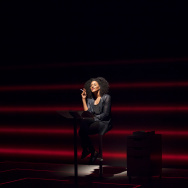 "It's just as likely that I as a woman of color would make a biased decision as you would... I think it's important to recognize that it's not a white man problem — it's actually a human problem." The plan for the Systemic Change Project is to have Williams help Women in Film and The Sundance Institute train Hollywood veterans to be "ambassadors" who can take meetings at studios, agencies, production companies and guilds to discuss unconscious bias. Williams and the president of Women in Film, Cathy Schulman, who's an Academy Award-winning producer and an executive at STX Entertainment, were guests on The Frame. To illustrate how unconscious biases can affect who gets job opportunities in Hollywood they pretended John Horn was a studio executive and quizzed him on his understanding of unconscious bias as it relates to hiring. The interview has been edited slightly for clarity. John Horn: I think it's making assumptions about people based on their appearance. That's how I would describe it. If it's a woman, if it's a person of color, if it's somebody with a disability, it's kind of automatic discrimination or judgment. Williams: That's exactly one example of how bias plays out. We can actually take a step back and give a broader definition and think about unconscious biases as blindspots that arise because of errors in the way that our minds process data. What that can lead us to do is to stereotype and to make assumptions about people. But we actually see our biases play out in lots of ways that we make decisions. There's an interesting study that Daniel Kahneman reports about, where if for example we are casually passing in the hall and I gave you a hot drink to hold and then you meet a new person, you'll feel more warmly or better about that person than if I gave you a cold drink. So very subtle things. It's not about the person at all. That's suddenly about that feeling that you have in your hand. So our biases are actually these shortcuts — a much bigger set of decision-making processes. 2. Pretend that you're working in a studio or a network. So you have two candidates for an executive position. One is a man and one is a woman. They're both qualified. They have different strengths and weaknesses. How do you choose which one? Horn: I guess ultimately, it's going to be a gut. If they're equally qualified to me, it's going to be who do I find myself feeling most professionally compatible with? Who do I want to sit next to? Who shares my way of looking at the world in terms of the work? I would want to feel comfortable with that person if they're completely, equally qualified. Schulman: So essentially your answer reveals that you are going to rely on your gut, and if you can accept the notion that your gut is essentially a keeping place for all of the things that you as a person have learned, then any kinds of biases you might be having would be inside that decision ... This would be the kind of thing we think about in terms of training an executive. What if in advance of meeting the candidates for the job, you set out all of the necessary qualifications for that person, maybe any negatives you'd be willing to accept and you just marked those boxes on the basis of the two people that you met? Williams: So you always need to have structure and criteria for any hiring decision. It's really important to come to an agreement before you see any candidates because the research shows us that people will actually change the criteria to hire the person that fits their bias. So whenever I hear someone say, I'm going to go with my gut, I hear, I'm going with my bias. 3. You are an executive at your studio right now. You look around. It happens to be 80 percent male and 20 percent female (the current rate in Hollywood). How do you change that? Horn: I would say, first of all, it has to be changed. So, I'm just going to bind this to a hypothetical: if I can get rid of people and move them to other jobs. So the question is, I guess — I want to make sure I understand your question — how do I balance that out? I'm going to affirmatively say, we need to get women in these jobs and that's what I want you to look for. Schulman: It's tricky because I know that if I were to suddenly get rid of the right amount to end up with 50/50, that the company would collapse because there would be a lack of knowledge and it would turn crazy. So what would we do, Judith? Williams: We might think about moving people out. We also might think about bringing more people in. One of the things that we need to do is make sure that we are considering as many women as men for those roles. We're not saying, don't ever hire another man. We're not saying that men should lose their jobs. We're saying that we need to change the field on which we're asking women to compete. 4. You're an executive again and you're looking for a producer. It's a big budget studio film. What do you look for in this producer? Horn: I look for somebody who has done it before. 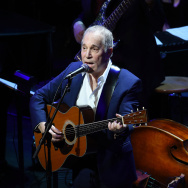 I look for somebody who I think can do it again, somebody who I think is competent, somebody who is going to do the things that I need him/her to do. So I would look very much at track record, because I think that would make me feel like I've done something judicious, that I'm not taking a flyer. 5. Let's suppose that you have one person who's made a number of big budget studio films and you have another person who's made 35 smaller independent films. Whose experience do you value more? Horn: I'm going to say the former not the latter. Schulman: Herein lies the problem. And what's happened in the studio system is that it's pushed female producers out and failed to accept female producers in the top line of big budget movie making. From my experience as a producer and having, almost like Judith said, about 30 films, one of the things that I learned along the way is that the budget of the film, the size of the film, is generally reflective of how long it shoots and how complex each day is. The reality is, a smaller film that shoots for 30 days versus a larger movie that shoots for 120 days doesn't change the necessary experience. Managing a movie through 30 days versus 120 days is the same experience, longer. One of the things we've realized is that the hiring practices for producers are reflecting the budgets of the film they've worked on versus the quality of the work on a daily basis. Horn: I want to tell you something, Cathy, because it occurred to me last night. You came on my show not that long ago, and I asked you a question about what it's like to be a parent and be away from your children when you're producing a movie, and my wife said, "Why don't you ask that question of men?" And I said, you're absolutely right. That is my bias. That I am going to assume that there are things that a woman does away from work that a man doesn't do. And that is really horrible that I assume that about you but not of a man. Schulman: It's so interesting you say that, John, because you just literally landed on the terms of rejection that I as a producer experienced most. What would happen to me is that I would sell a movie to a major studio, and it would get closer and closer to the time that the movie was actually going to be made, and — with no exception — each time I was asked to bring on a male producer to produce the movie with me. I think one of the reasons I was asked that was because I had done a lot of low budget movies and the theory was, you're going to need an experienced man to help you go for more days. And I would fight that like a crazy person. It doesn't matter how long the shoot is, I know what I'm doing. But every time that person who was now suggesting that I split my fee with a male producer who was now going to come help me, an Academy Award-winning producer, make my movie, it was couched in this way: You can't possibly want to leave your daughter? You are a mom and a wife right? I mean I only imagine that if you could split it with somebody else it would be easier for you to go back and forth. It'll be easier for you to do the necessary multitasking in your life. Williams: What bias does is it makes us make judgements about what we think a person is capable of based on a category rather than based on what they have actually accomplished. And that's what we see there. Get The Frame podcast on iTunes.